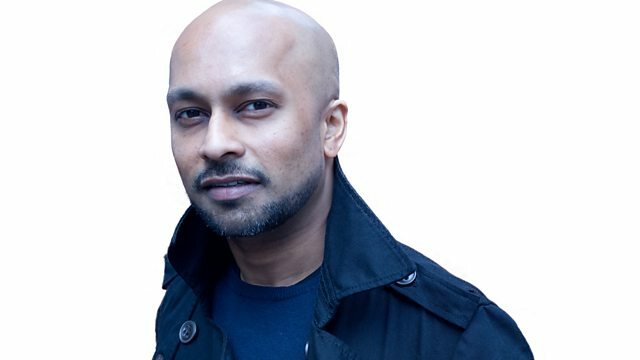 Michael Berkeley's guests is dancer and choreographer Akram Khan. He introduces music by Mussorgsky and Stravinsky, plus performance poetry by Kate Tempest. In Private Passions, Akram Khan tells Michael Berkeley about his childhood, when his aunties would gather and sing till 3am, and require the exhausted young Akram to accompany them on the tabla drums. He reveals why he decided to become a dancer, not a musician. And he talks frankly about trying to be a good father to his two young children now, and how they have transformed his life. Musical choices include Mussorgsky, Stravinsky's Rite of Spring, performance poetry by Kate Tempest, and a Flamenco protest song from the Spanish Civil War. Music Arranger: Maurice Ravel. Orchestra: Berlin Philharmonic Orchestra. Conductor: Sir Simon Rattle. Performer: Samuel Vigoda. Ensemble: Eastwestern String Ensemble. Composer: Atticus Ross. Performer: Trent Reznor. Performer: Atticus Ross.